I hope you all are doing well. Recently I was so busy with my classes and job interviews and exams that I didn’t have time to write an amazing article for you people and I missed it. 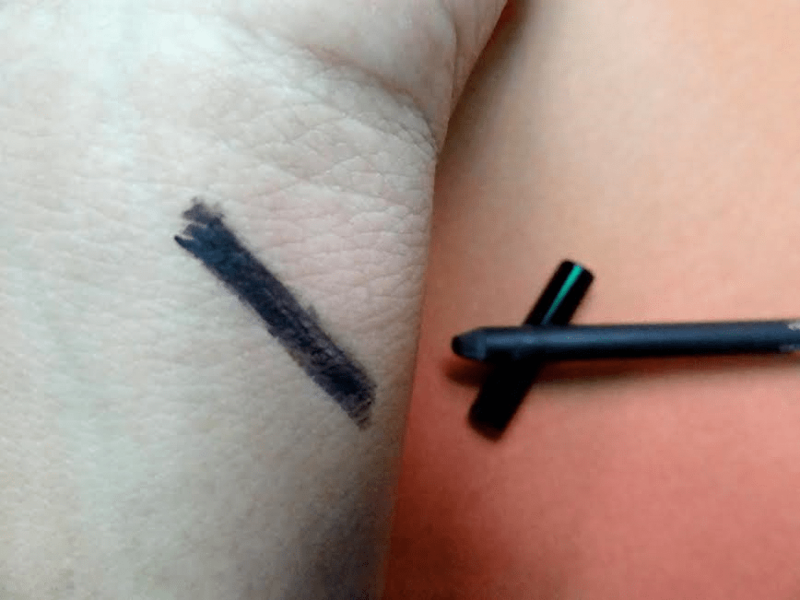 So, today, I decided to take a break from all classes and exam stress and write a review about this awesome kajal by Colorbar just smoky kajal just black with which I have recently got obsessed. When it comes to makeup, kajal is the first product that I started using. 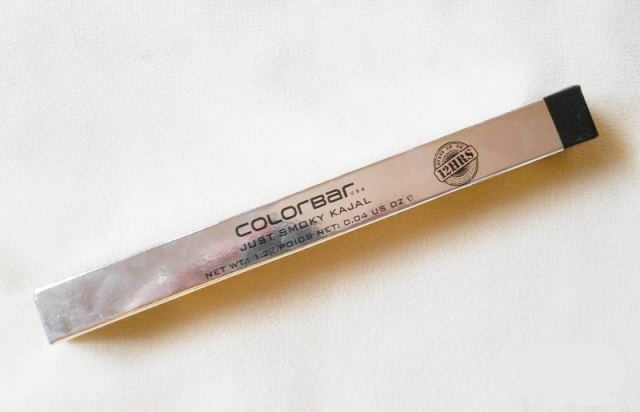 And now it’s the first time I’m using a makeup product from Colorbar brand. I got this kajal as a gift and I really fell in love with it the moment I used it. The kajal is absolutely smooth, glides easily and has amazing lasting power. This velvety & super intense smoky kajal comes with a perfect smudge tip applicator for blending and creating dramatic smoky eyes. Best before 3 years from the date of packaging. The product comes in a flashy silver cardboard packaging. I really liked it. The cardboard package has all the details about the products like its expiry date, ingredients and everything else. The bottom of the card is stamped with black color and holds the shade name and number which makes it easier to pick the color you want. Now let’s talk about the product itself, the kajal is quite long in comparison to other sticks I have used so far. The stick has kajal on one side and the smudger on the other side. The pencil stick and the caps are black in color. The cap fixes tightly on places and does not budge so easily. Overall the packaging is quite eye-catchy and I really liked it. The consistency of this kajal is very smooth, very creamy. It glides very smoothly and even though it is soft, it does not melt. The color is jet black, and this is the reason I love this product. The color is something for which I fell in love. The product doesn’t have any fragrance. As I mentioned before kajal is the first makeup product that I started using, so no wonder kajal among all other makeup products holds a soft corner in my heart. I love buying kajals and I have a large collection of kajals. I tend to stock on the next before even finishing the last one. No wonder, I rarely run out of kajal. The colorbar just smoky kajal looks very promising and I am in love with the pitch black color and it works awesome. Today I will review Colorbar just smoky kajal just black. This kajal is available in other shades too like grey, teal, blue and green. So people who love to try different colors of kajal must go for it. This kajal is dual ended, one part is kajal side and the other one is smudger. The kajal claims a lot of things so, let’s check out how much it lived up to its claims. If I talk about the color of this kajal, it is the best thing about the kajal, it so dark the pigmentation is very dark. Pitch black. The color is very intense and looks very beautiful and pops up the eyes. There is no need to apply it twice just one swipe and you are done for day. The kajal lasts for whole day. I cannot say it lasts for 12 hours as I have not tested that, but yes it lasts for more than 10 hours, that I have tried, and yes it is waterproof, even if you cry, it won’t come off. If I you using it as an eyeliner make sure to use a good eye makeup remover to remove it, because it does not come off easily. It really works great as eyeliner, I fail to make a precise line with this kajal pencil but yes it works for me as eyeliner as it gives a smoky look. If I talk about using it as an eye shadow, I was not able to do that, I tried to smudge it and apply it like an eye shadow but I was not able to get the look. The smudger, I don’t like it, for me it is very stiff and if I will apply more pressure on it to smudge this kajal, I will hurt my eyes. The smudger works okay not so good. Sharpening the kajal is little bit tricky, sharpening this kajal leads to wastage of product and it breaks my heart. The kajal is a bit on the pricey side, like you can get two average priced kajal in the price of this one kajal. If you really want to enjoy the pigmentation of this kajal and love it, then for sure go for it. -I really liked the packaging. – The product is travel friendly. – The pigmentation is very dark and intense. – The kajal is pitching black. – The texture is very smooth and soft. – The kajal is waterproof. – The smudgser is bit stiff. 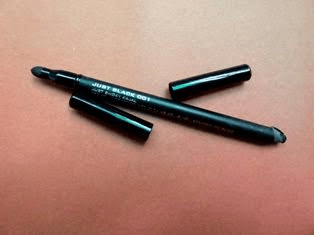 Overall, colorbar just smoky kajal just black is an amazing product and if you are a kajal lover like me, you will fall in love with this in just first application itself. The color is so intense and it does not come off like other kajals. It lasts for longer hours and will stick even when you are watching an emotional movie with eyes full of tears! The color is jet black, making the eyes pop and giving them a nice definition. The kajal works great as eyeliner too and the smudger helps to create a smoky look. The product is easily available in stores and online too. I will definitely recommend this to all those people who love kajal like me and won’t bother paying little bit extra if they are getting a mind blowing product, which is worth every penny. amazing post. Really very nice. Thanks for sharing with us.